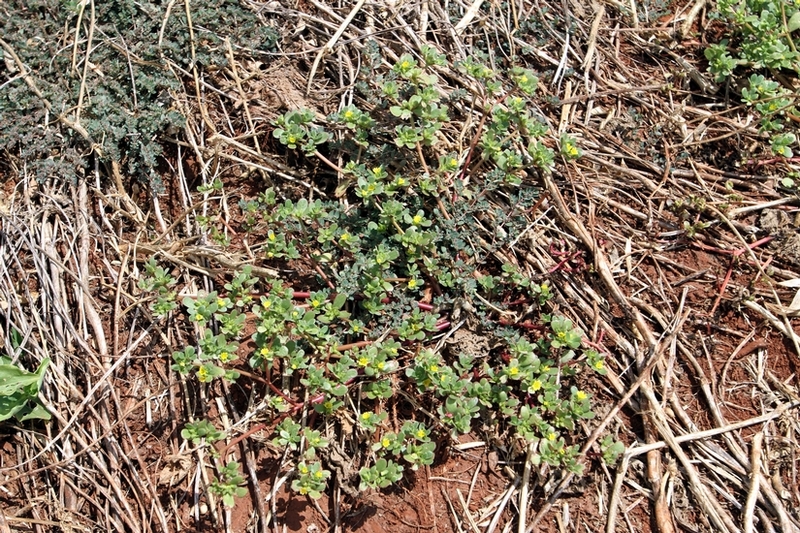 Prostrate, fleshy, succulent summer annual that is able to tolerate poor, compacted soils and drought. 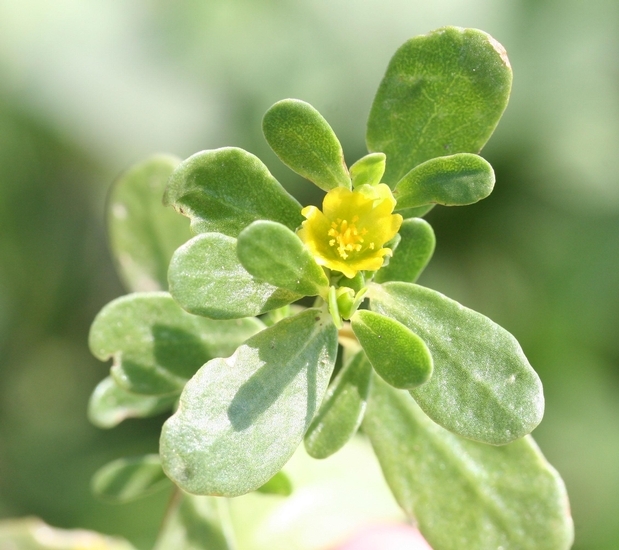 Common purslane is a common weed of gardens, horticultural and agronomic crops and is found throughout the United States. 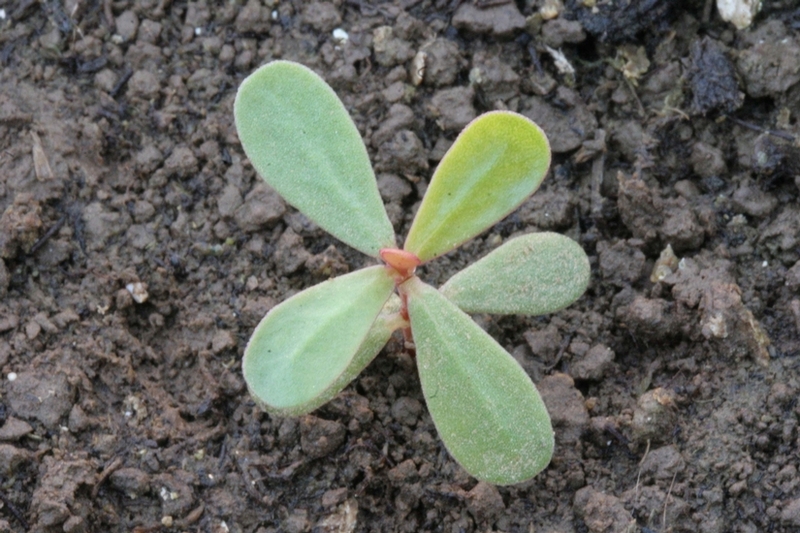 Cotyledons oblong, succulent and without hairs (glabrous). 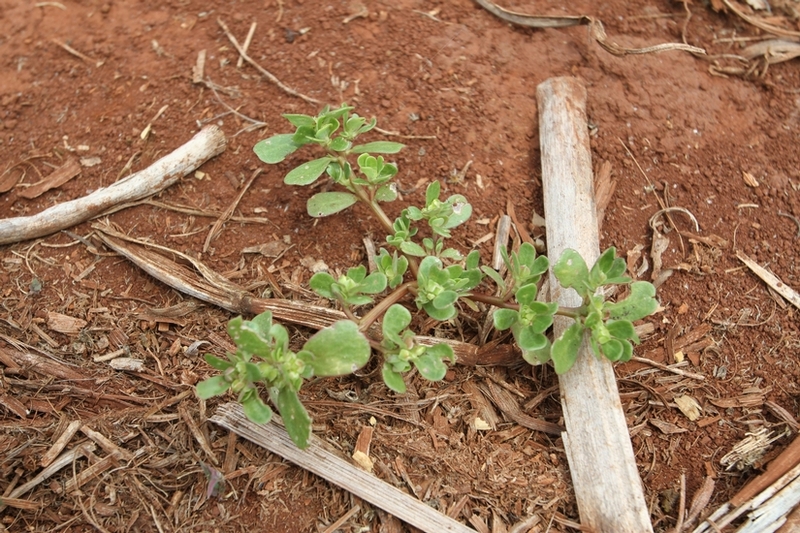 Young leaves opposite with each succeeding pair 90 degrees from the preceding pair. 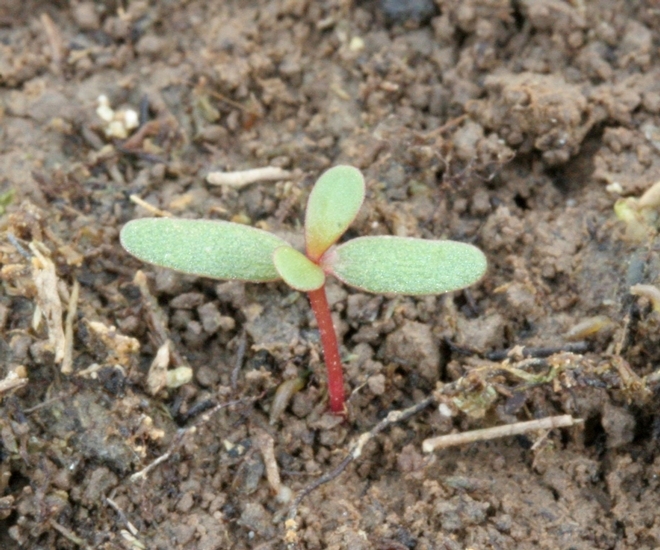 Young leaves maroon or maroon-tinted on lower surface. Alternate or opposite, 1/4 to 1 1/4 inches long, rounded at apex and narrowed to the base (spatulate). 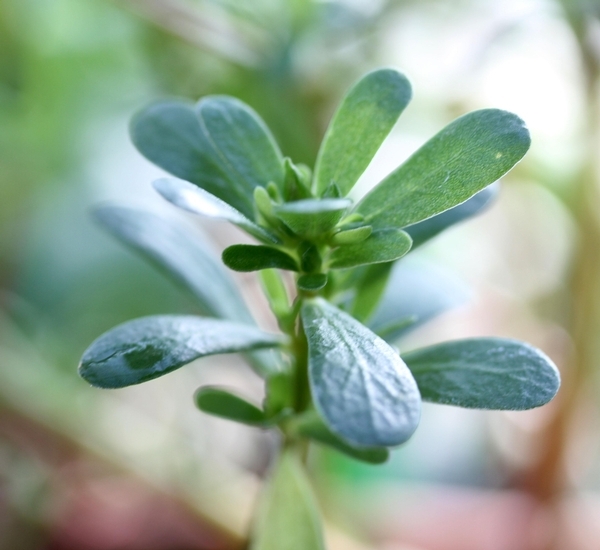 Leaves are thick, succulent and fleshy, with smooth margins. 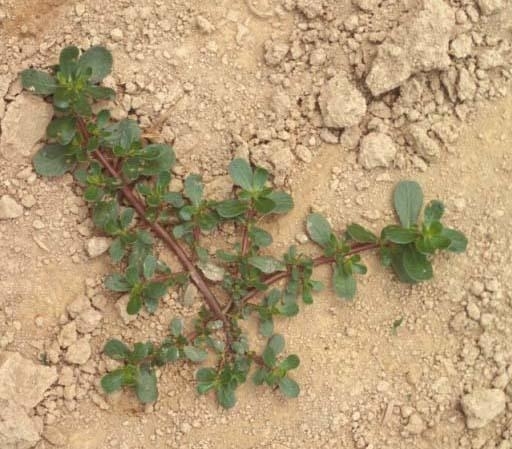 Succulent, smooth, prostrate, much-branched, purplish-red or green, 4 to 20 inches long and without hairs. Yellow in color with 5 petals, 5-10 mm wide, that open only when sunny. 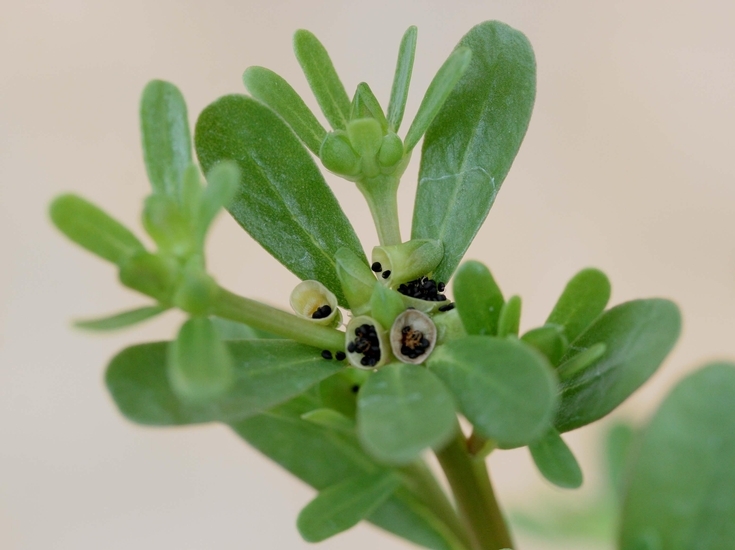 Flowers are found alone in the leaf axils or clustered at the ends of the branches. 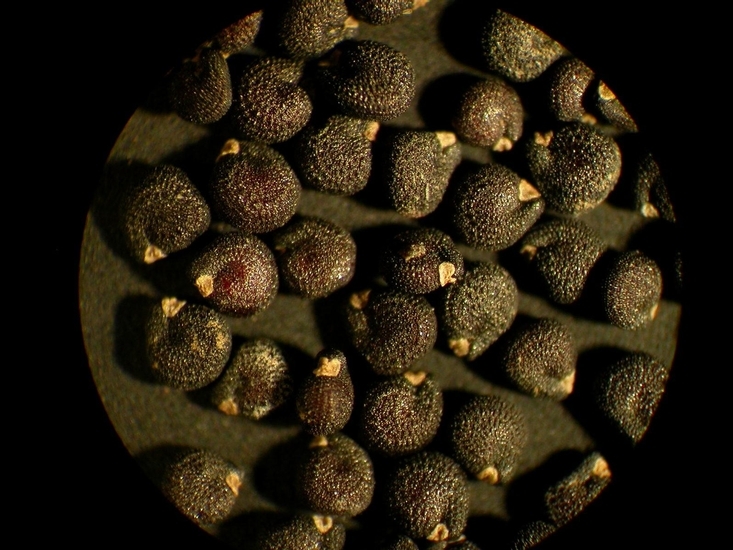 An oval, many-seeded capsule (4-8 mm long by 3-5 mm wide) that splits open around the middle. Taproot with fibrous secondary roots.